She first qualified overseas as a Barrister and Solicitor in 1993 and was admitted as Solicitor in England and Wales in 2001. She also holds a Master’s Degree in International and European Business Law. She is extremely pragmatic and fiercely protective of her client’s stated objectives. Client care and maintaining long term relationships with clients are one of her greatest strengths. Len obtained a degree in History from Warwick University and took the law conversion course and Legal Practice Course at the University of Northumbria. Len has specialised in Litigation since 1994 when he joined a large North East Law firm as a paralegal working first in commercial litigation and then personal injury law. Moving to South Yorkshire in 1997 to join a Rotherham Solicitor’s firm Len completed his training contract and qualified as a solicitor in 1999. In order to gain a great deal of litigation experience Len moved to a specialist personal injury firm in Derbyshire in 2000 acting on behalf of insurance companies litigating road traffic accident and personal injury claims. Chizoba is a solicitor with over 7 years’ experience in Corporate Commercial Law having first qualified overseas as a Barrister and Solicitor before re qualifying as a solicitor in England and Wales. She also holds a Master’s Degree in International Commercial Law from Kingston University. Chizoba began her legal career in West Africa with one of the top Legal Firms in the Oil, Gas and Energy Sector. She subsequently moved on to gain valuable experience in Corporate Commercial law advising major West and South African Organisations in connection with various commercial matters. India is the first point of contact at Hallmark Solicitors. She has varied experience in marketing having worked with a number of local businesses. As a Business Administrator India assists in the coordination and implementation of the office procedures and frequently have responsibility for some of the Firms projects and activities. India believes that it is as important to be helpful and friendly as it is professional. Karen is in charge of bookkeeping and accounts within the Practice. 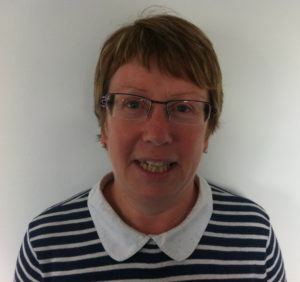 Karen has been with Hallmark Solicitors since 2009 and before that time had worked in various other solicitors and accounts departments developing her skills and now has over 10 years’ experience in the accounts environment.